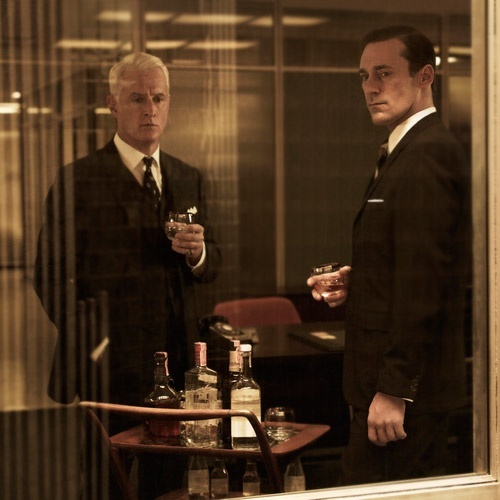 I was a little late to the Mad Men party. A lot late actually. I'm still playing catch up (No Spoilers!! ), but I'm utterly transfixed. I wish I could pull off a suit the way Don Draper does every day (Uh, just kidding honey!). And smoking! I've never smoked a day in my life (and never wanted to), but man do they make it look cool. It's ridiculous, I know. And my apologies to all the alcoholics out there, but Damn! 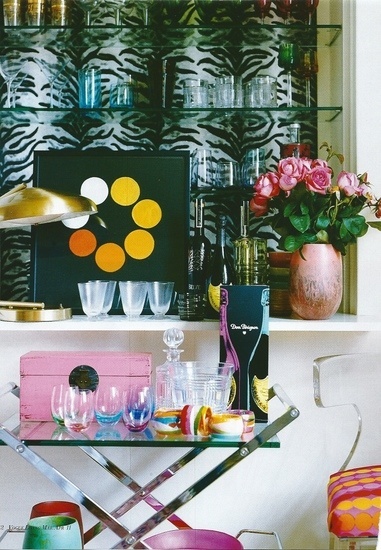 those beautiful mid-century modern bars that reside in every single office, house, and apartment are amazing. 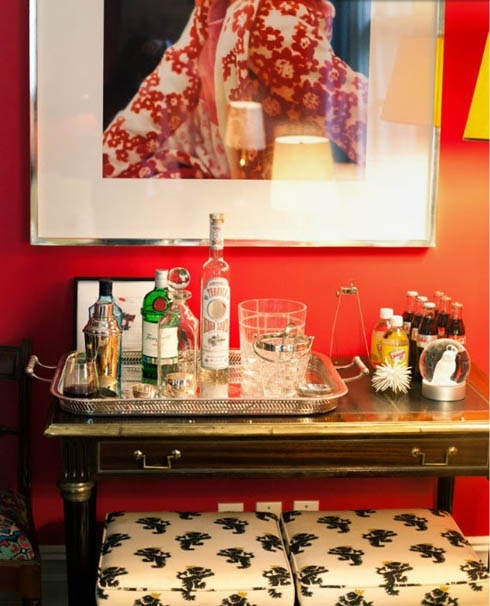 To celebrate the kick off of the new season of Mad Men (I know, I'm a few weeks late, sue me), I figured I'd offer a few tips on how to style your home bar. 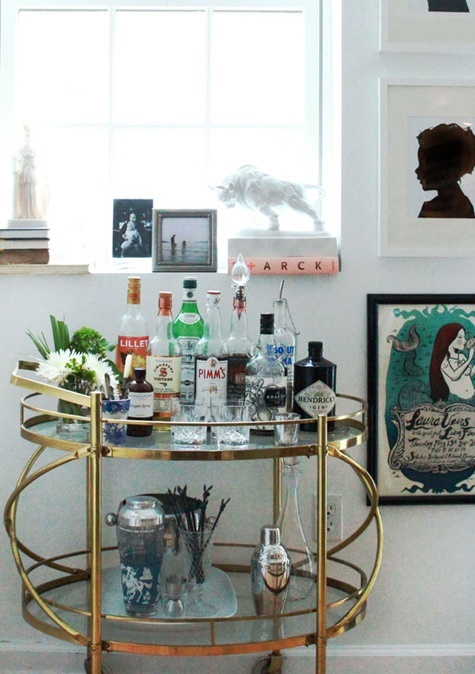 So if you wanted to set up a bangin' bar in your place, what exactly would you need? Number 1 - You need something to set up your bar on. And feel free to get creative here. 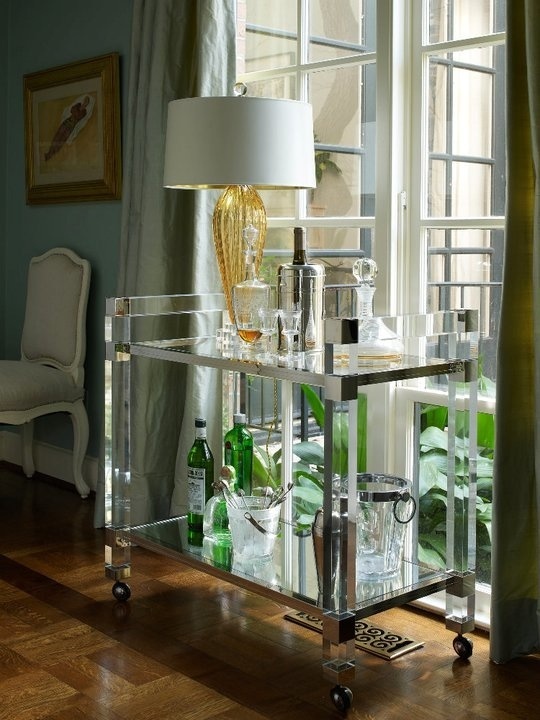 Almost anything can be turned into a mini bar that looks super swanky. Any kind of cart, dresser, typing stand, buffet, etc. would work great. 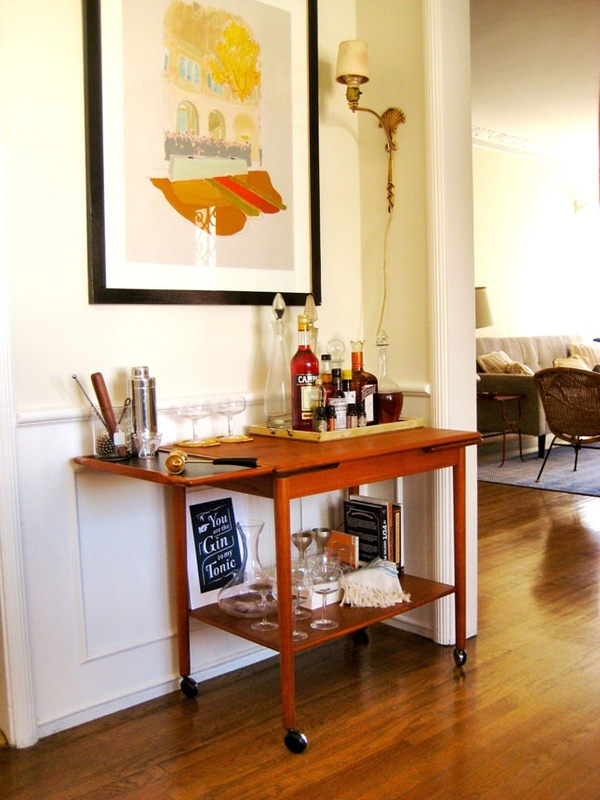 The major point I'll make about your choice of bar surface though is that you may want to consider 2 things: Will you need to move the bar around at times, say, when you're entertaining? 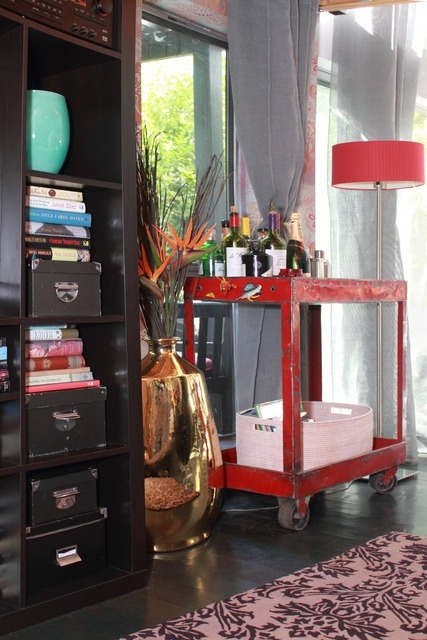 Then I recommend a wheeled cart (I know, duh.). Also, try to use something that has a higher prep surface if possible. 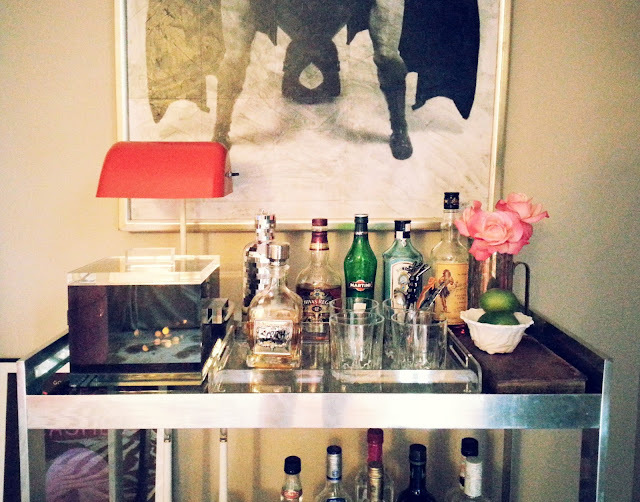 I love my bar, and it gets a fair share of use, but I wish it were about 6 inches taller. Number 2 - Pick your poison. This doesn't have to be Rocket Surgery. 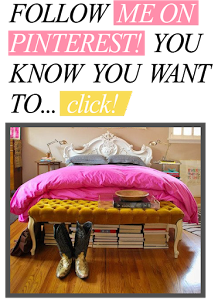 There's really two ways to go here: Mad Men Minimal Chic or Everything But The Kitchen Sink. I don't subscribe to a hard philosophy about what to stock in my bar. It really depends on what you like and whether you do a lot of entertaining. Bare minimum, you need a few bottles of booze (A good Scotch or bourbon, a vodka, gin, and a rum), a few glasses, and maybe an ice bucket. Presto! You gots a bar, baby. I personally think this looks best - keep the other bar accessories and mixers elsewhere for the most part. Alright, alright. Let's get to stylin'. 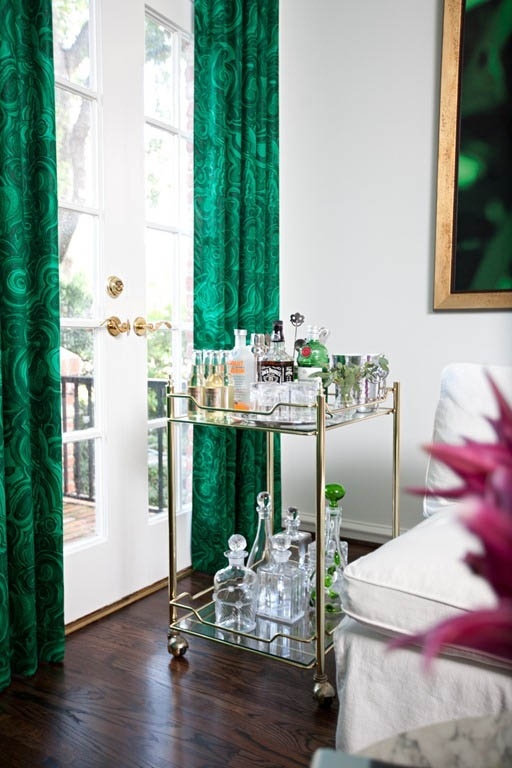 The trick to making your bar look cool is making it look used, casual, and inviting - like you could walk over and grab a drink at any time, Don Draper style. Keep the tall bottles toward the back or to one side and group them together. I also like to keep the glasses grouped together on a tray of some kind to give it a loosely organized feel. You don't need to get fussy about the glasses themselves. I only keep cocktail tumblers on my bar though. The wine and martini glasses live elsewhere. Now the fun stuff...Decorative elements. 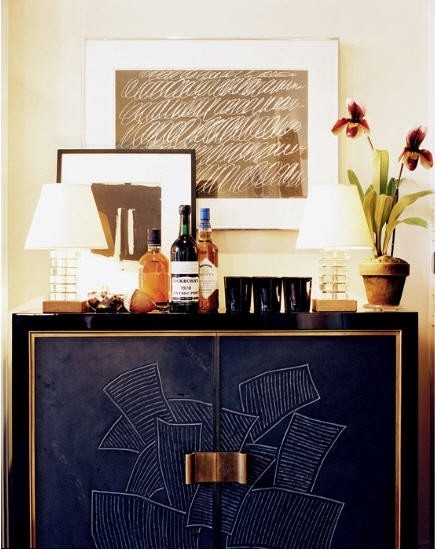 This is where you can add a lot of personality to the bar, but don't overdo it. 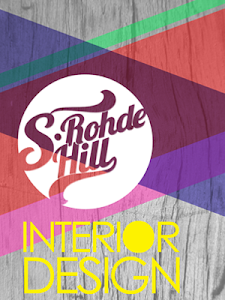 The ability to edit is a crucial skill in interior design and honestly, one that I still struggle with. I suggest as a general guideline one light source, one decorative object, and if possible, some cool artwork hung nearby. 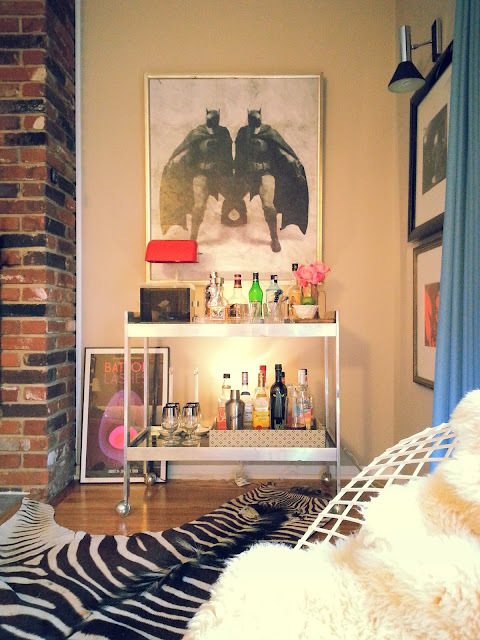 Like a lot of tablescapes, a bar can also look cool if you vary the heights of the objects on it. Stack things if you can. The light source can be a small table lamp on the bar itself or a sconce nearby. It's better if the light you use is a task light and shines down on the barware instead of just being ambient light - The glass twinkles nicely under low incandescent light. The decorative object doesn't have to be "bar" related, it just needs to be interesting. And don't forget to move things around a little as they get used. It's a bar, not a sculpture. And I'll tell you one last secret...I love the look of lemons and limes on a bar, but I don't ever manage to use them before they go bad, so I um, fake it. Yeah. That's right, I admit it. 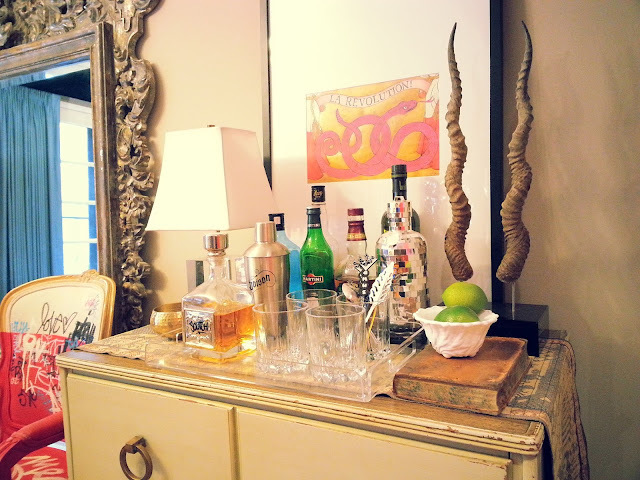 I use fake limes on my bar. And you know what, I've done it for years and no one has ever noticed that they aren't real.